With mobile games now an established part of the mainstream, publishers have begun promoting their titles with high-profile television commercials, resulting in measurable gains among the number of active iPhone players. A TV commercial for popular iOS game "Clash of Clans." TV ads are becoming an increasingly common way for smartphone game publishers to promote their titles, and mobile analytics firm App Annie this week highlighted the success those commercials have brought to companies like King, Supercell, and Big Fish Games. Those publishers specialize in free-to-play titles for platforms such as Apple's iPhone, which are free to download but allow gamers to access more content or move through the game more quickly through paid upgrades. Apple has used its considerable budget to promote iPhone and iPad applications in the past, and other companies like Microsoft have also highlighted titles such as "Angry Birds Star Wars" to help promote their own products. But the currently airing commercials from publishers represent a new direction for upstart free-to-play game makers on iOS, Android and other mobile platforms. 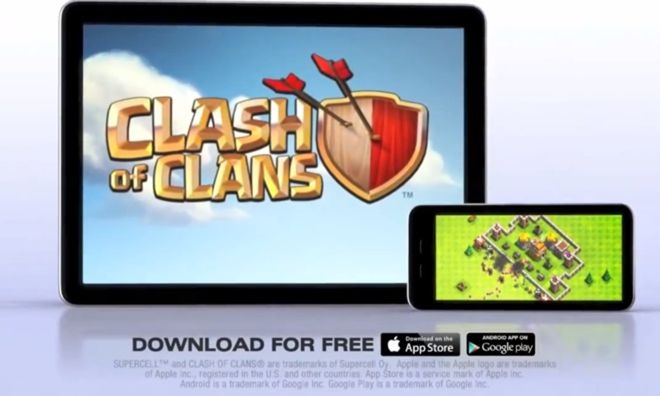 Commercials for major titles such as "Clash of Clans" began airing as recently as late 2013, and similar advertisements for mobile games have been common in markets such as Japan. But the practice is now spreading in a big way to the Western world, where titles such as "Big Fish Casino" were promoted on U.S. television in the month of February. "Clans" and "Casino" were both highlighted by App Annie as games that gained in App Store rankings in February, thanks in part to their television ads. The firm also singled out "Farm Heroes Saga" as another title that shot up the charts after commercials began airing. Publishers behind hit titles are likely now advertising on television because of the influx of cash that affords them that ability. In terms of revenue, Finland-based Supercell was the top game publisher on the iOS App Store in February, while King came in second place. The top iOS game for the month, however, was the phenomenon known as "Flappy Bird," despite the fact that the application was pulled from the App Store early in the month. 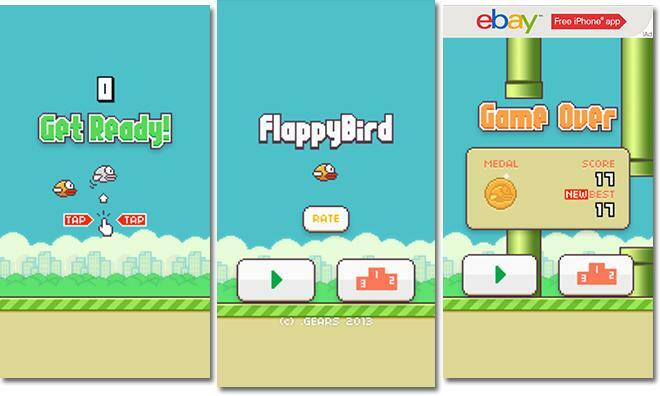 Its influence even went further, as "Flappy" clones dominated the top 10: "Splashy Fish" came in second place, "Ironpants" took third, "Fly Birdy" was in sixth, and "Flappy Wings" finished eighth— all without any television commercials.